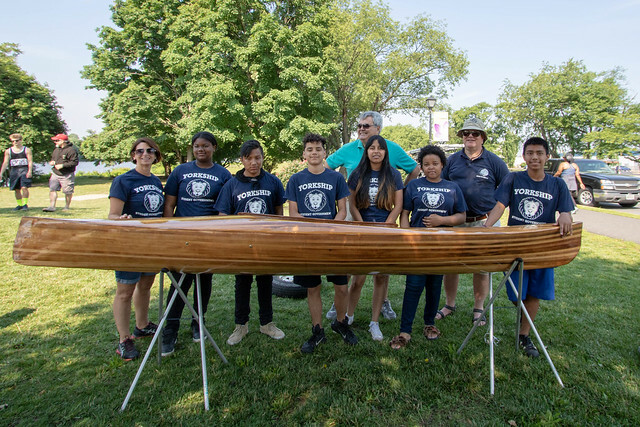 On Saturday, June 9, students and teachers from Yorkship Family School in Camden, along with parents and other volunteers, gathered at the Camden County Boathouse on the Cooper River to launch a series of hand-built boats. After a celebratory chant of “I built a boat,” students took turns launching and paddling their own creations on the Cooper River, celebrating the launch of Yorkship’s first-ever boat. Taking advantage of Yorkship’s status as a community school, Sue was able to. She first learned of the Maritime Museum through the Fairview Neighbors, an organization she joined in order to further connect the school to the surrounding community. Moreover, Sue credits Yorkship’s other partners – NJEA Priority Schools, Urban BoatWorks, and the Camden City Department of Human Services (who provided transportation for the students). The Delaware Valley Fairness Project also contributed funding for students’ individual photo albums and a school album detailing the process. 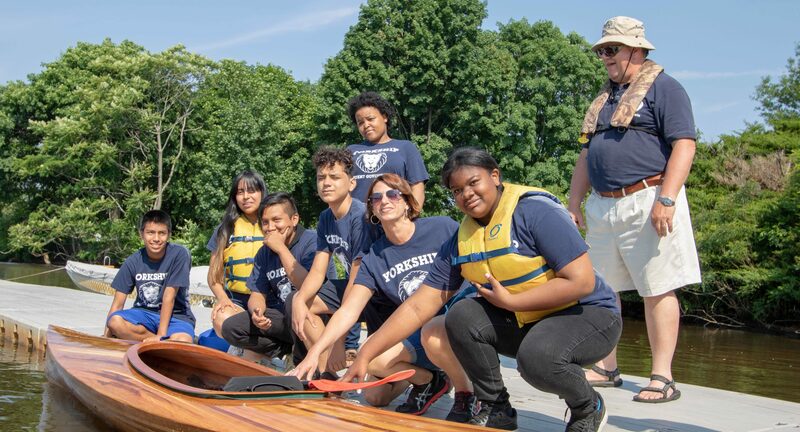 With their assistance, Yorkship began its own chapter in the Fall of 2017 with seven seventh- and eighth-graders working alongside volunteers to transform slabs of wood into a functional, single-person kayak. As the Yorkship School and Yorkship Village celebrate their 100th birthdays, Sue is already looking to expand the program for next year. Again thanks to Yorkship’s community school status, Sue was able to form a special bond with students’ families and will have boatbuilders’ siblings participating next year with even greater teacher and student involvement. In September, she intends to begin with an excursion on the Cooper River, in hand-built boats, of course.